UPDATED Jan. 30, 2019. Eligibility for Medicare Supplement Plans for disabled under 65 depends on the state of residence. 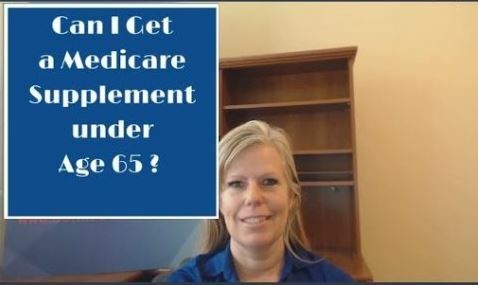 Medicare Supplement plans (also known as Medigap plans) are generally for people over the age of 65, and according to the federal law, insurance companies can refuse to sell Medigap policies to people under 65. Additionally, insurance companies can also charge higher Medigap premiums compared to Medigap premiums for people over age 65. In some states, when you have Medicare under 65, you may not be allowed to buy a Medigap policy. In other states, insurance companies are required to sell you a policy, even if you have Medicare under 65. These states entitle people under 65 for a Limited Medigap Open Enrollment Period, which occurs within six months after you’ve been enrolled in Part B. During this time you may purchase any available Medigap plan without Medical Underwriting. However, the list of available plans for people under 65 may be limited. The table below provides the relevant information for Standardized Medicare Supplement Plans for disabled under 65 for the states where Liberty Medicare offers its services. Outside of a Limited Medigap Open Enrollment Period, most Medigap vendors will NOT allow you to apply for a Medigap policy. Some will allow as long as you will pass their medical underwriting. When you turn age 65, you’ll be entitled to the Medicare Supplement Open Enrollment Period. It will take place independently whether you’ve used Limited Medigap Open Enrollment Period or not. If you are looking for Medicare Supplement plans for Disabled Under 65, Liberty Medicare is here to assist you. We’ll help in all stages of comparing, selecting and enrolling in the best and most suitable Medicare Supplement Plan for you. Our services are offered at no cost to you. Give us a call at 877-657-7477, or Contact us with your Medicare Questions.